Bollywood actor Saif Ali Khan and director Nikkhil Advani worked together in Karan Johar's film Kal Ho Naa Ho, it was Nikkhil Advani's directorial debut film in Bollywood. However, after 15 years once again Nikkhil and Saif Ali Khan have collaborated for their next venture Baazaar. Baazaar is a film related to stock market and Saif is going to be seen playing the role of businessman Shakun Kothari. Chitrangada Singh plays the role of Saif Ali Khan's wife, Mandira Kothari. Whether Radhika Apte plays the role of Priya Rai, a stock market worker. 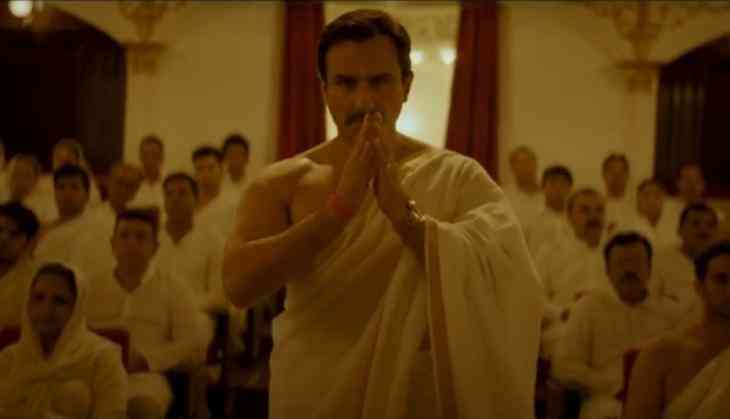 Some already have thought that the film is going to be Saif Ali Khan's career's best performance and its trailer also gives you the same glimpse. The film is supposed to release on 26th October 2018.